From the trajectory, one might have expected Nolan’s next feature to be a smorgasbord of bombast and celestial mystique. But instead, the auteur turned his lens toward the decidedly earth-bound and human setting of World War II and the battle of Dunkirk, the first time Nolan has tackled a historical subject — Nikola Tesla dramatizations notwithstanding. Interweaving three stories — of land, sea and air — Nolan’s “Dunkirk” follows the evacuation of allied forces from France, with hundreds of thousands of soldiers effectively trapped on the wrong side of the English channel and surrounded on all sides by Nazi forces. On land, young men wait through enemy bombardment for any opportunity to sail across the channel, only to find an equally — if not more — perilous situation on ships targeted by submarine torpedo and dive-bombing attacks. They are aided by civilian ships called in to the rescue effort, and protected from above by a coterie of fighter pilots. That’s the plot, in a nutshell, as Nolan is less interested in exposition, character and dialogue as he is in setting the scene before a tense, 100-minute exploration of survival and war. For long swathes the film is silent but for the haunting Hans Zimmer, which adds suffocating weight to moments of hopelessness and agonizing claustrophobia as men are trapped inside a series of sinking ships or blindsided by enemy gunfire. There are a few familiar faces along the way, including Kenneth Branagh as a stoic commander, frequent Nolan collaborators Tom Hardy and Cillian Murphy, and boy-band alumnus Harry Styles as a rank-and-file soldier. But the movie isn’t interested in star power, relying on a largely unknown supporting cast and spreading the running time throughout its characters in lieu of a clear protagonist. The result is, paradoxically, a more personal tale of war, bolstered by breathtaking aerial photography and the minimalist action sequences that highlight Nolan’s career. He knows that death and destruction don’t require window dressing, and the film is better for it. While comparatively a much more traditional film, the elements of Nolan’s chronological and visual trickery are still present. He uses the spinning camera work of “Inception” for the interior shots of his sinking ships. And the three main storylines move forward and backward through time — a la Memento and Prestige — to cover overlapping periods of one week, one day, and one hour. Events are shown out-of-sequence and repeated from various character viewpoints while plot is doled out only as needed. It works incredibly well, resulting in an impactful film in which every second feels significant and climactic, while the mechanics are veiled by a screen of simplicity. There’s no 5th-dimensional beings, dream machines, dueling wizards or masked vigilantes, but “Dunkirk” dazzles all the same. It’s a neat trick, even for a magician like Nolan, resulting in what is easily one of the best films of the year. *Dunkirk opens nationwide on Friday, July 21. Many actors are drawn to similar characters throughout their careers, but perhaps no one is as symbiotically fused to an onscreen identity as the late James Gandolfi, who captured every class of criminal during his career from the mob boss to the corrupt politician to the assassin to the neighborhood tough and every shade of low-life in between. It’s fitting then, in a poetically nostalgic way, that his final film role is not the tenderhearted divorcee Albert in last year’s excellent Enough Said but instead Cousin Marv, the down-and-out Brooklynite who oversees a watering hole for the mob and watches the last shades of his rambunctious skull-cracking youth fade away. 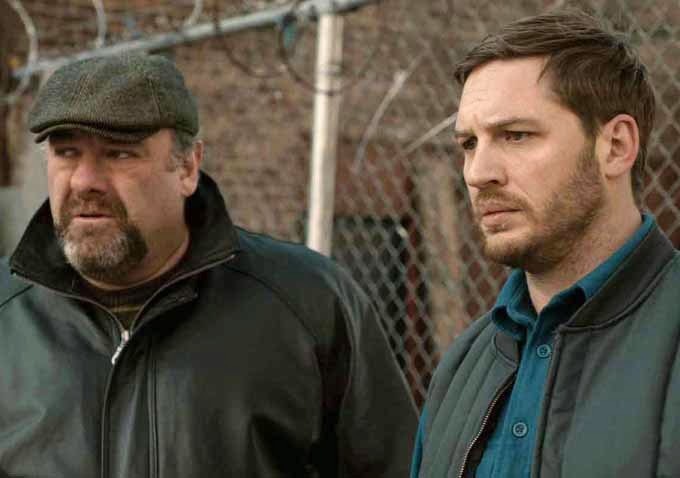 Although “The Drop” is technically a film about Bob Saginowski (Tom Hardy, adopting yet another vocal tenor in his ever-expanding chameleon gallery of on-screen affectations) Gandolfini’s Marv is the commanding presence when he’s on screen and the haunting shadow when he’s not. The bar where the action is set has Marv’s name on the door, and the methodical, slow-burning story creeps forward on the back of Marv’s past sins. As explained by Bob, a night in Brooklyn is one where clandestine money is constantly changing hands. That money eventually reaches its final destination, a “Drop Bar,” selected seemingly at random, where all the dirty bills of the burough are collected for final delivery. One night while closing up, Bob and Marv are ripped off for five grand by a couple of punks casing the bar as practice for a later Drop night when they can net the big score. But money is money and the mob wants their five grand back, so the family starts turning the screws on Bob and Marv to make amends. Bob’s got other problems too. One night while walking home he notices an injured dog discarded in a seemingly random garbage can, leading him to adopt it as his own with the help of Nadia (Noomi Rapace), whose ex-boyfriend doesn’t take to kindly to the interest that Bob is taking in his girl. And there’s John Ortiz (Silver Linings Playbook) as Detective Torres, who in the process of investigating the robbery begins to think that there might be more foul deeds connected to Cousin Marv’s Bar. That may sound like a lot of disparate elements, but The Drop exists in a pulpy crime world where everyone in the neighborhood and all their baggage are at least partially aware of and constantly running into one another. There’s a lived-in history to the story, as though the audience has arrived late to a movie that’s been playing for years and leaves well before the action truly ends. These are characters for whom a different set of rules apply, where wrapping a severed arm is plastic is treated with mute indifference and where acts of violence are expected but still leap out unannounced. Hardy’s Bob is a particular and engaging enigma, a man for whom past is past and the present is handled one decision and crisis at a time. His chemistry with Rapace’s Nadia is probably the weaker link in The Drop’s chain, but neither seems out of place as blue collar Brooklynites. Much like Hardy’s previous film Lawless, the individual performances are perhaps better than the actual material. But the combined effect of Hardy, Gandolfini, Ortiz and Rapace, who all play it cool while subtly tweaking expectations, takes what could have been a bargian airport-novel whodunit or a campy-grit Guys and Dolls and instead delivers a rich character piece that hums with moral ambiguity. *The Drop opens nationwide on Friday, September 12. The one-man show, a relatively common construction on the live stage but few and far between at the cinema, is a tricky beast to pull off. Great writing and editing are always required, but great acting is what divides the one-men, since it falls to the quality of a single actor’s performance to sustain audience interest. There are some excellent films in this category, like last year’s ‘All is Lost,’ which saw an Oscar-caliber Robert Redford adrift at sea, or ‘Moon,’ which followed Sam Rockwell as a time-card punching astronaut nearing the end of a 3-year contract. But then there’s the not-so-excellent films, in which a scant plot and dearth of gravitas result in audience attention wearing thin. ‘Buried’ made a clever go at putting Ryan Reynolds underground and ‘Castaway’ gave Tom Hanks a volleyball to wax philosophic with, but neither performed particularly well (Castaway has its defenders, which I’ve never fully understood). That’s a long lead-in but it brings us to ‘Locke,’ which doesn’t quite reach a soaring height but still rises above it’s central guy-in-a-car gimmick to deliver something nuanced and interesting. On the eve of a major construction project, meticulous foreman Ivan Locke (The Dark Knight Rises’ Tom Hardy) receives a message that sends him on the road to London. His decision to make that drive initiates a string of phone calls as Locke is forced to finalize preparations for the next day’s work from his car, dodge the anxieties of his employer and explain his absence to his family. 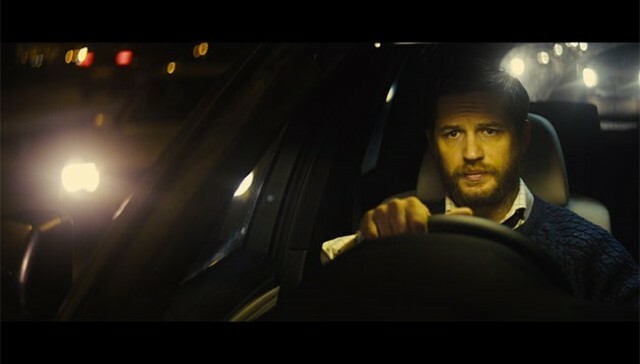 That set-up – man in car on phone – is all there is to ‘Locke,’ with plot details being doled out piecemeal with each chime of the ringtone. But a surprisingly tight script and a convincingly conflicted Hardy keep things moving at a fast clip. All things considered, the stakes aren’t particularly high. But to say more would deprive the movie of its palpable tension. Grounding all of it is Hardy, playing up an understated everyman quality that has largely been ignored in favor of casting the actor as a big-budget villain or superspy in bad McG films. It’s actually a bit of a treat to hear Hardy speaking so freely after playing a string of brooding mumblers in Warrior, Lawless and of course TDKR. As Locke, he is weighed down by the burdens of loyalty, integrity and family and yet there is an hushed excitement within him as he seizes his fate and drives (literally) headfirst into an unknown future. It’s an intimate and inventive film that marries emotional heft with beautifully minimalist imagery. It invests in the everyday drama of difficult choices and their consequences, getting a lot of mileage out of a 90 minute drive in a BMW. Christopher Nolan’s third and final installment in his Batman franchise arrived Friday, marred by tragedy and bogged down by seemingly insurmountable expectations. How do you follow the greatest superhero film ever made, one of the best action films ever made, and end one of the greatest trilogies ever made? How, in essence, do you deliver perfection when only perfection will be accepted? The task is daunting and as the millions of you who, like myself, set aside time opening weekend to see the film already know, Nolan has, for the most part, succeeded. That’s not to say that TDKR is a better film than TDK, or that it even should be. Empire is greater than Jedi. X2 is greater than X3. Two Towers is greater than ROTK (yes it is). Second films are, typically, the strongest of a trilogy in that they raise the stakes and set the stage for the finale. The challenge, then, with a third film is to provide a satisfying conclusion to the story and also stand alone as an exceptional film. The only comparison that need be made is between the film itself and the entire library of American cinema. Or, in other words, TDKR is not as good as TDK, but it doesn’t have to be and is still miles and miles ahead of everything else at the cinema. Rises’ curtain opens on a peaceful, safe Gotham. Eight years have passed since the Joker’s reign of terror and the end of organized crime, thanks to a lie engineered by the caped crusader and Gotham’s police commissioner Jim Gordan. Batman is little more than a memory and Bruce Wayne has become a recluse, nursing wounds both physical and emotional in the east wing of his now-completed Wayne Manor. But trouble is brewing. A mercenary named Bane arrives (in spectacular fashion) in Gotham with a terrorist cell-esque entourage of religiously devoted henchman and the financial security of Wayne Enterprises is threatened after a shuttered sustainable energy project and the devious meddling of a cat burgler. I’ll leave the synopsis at that, in part to avoid spoilers and also because you’ve all likely seen it already. Now for the analysis. As a stand-alone film, Nolan has delivered yet another complex genre-bending film that combines originality, spectacle and emotional depth. Especially rewarding is how Nolan, while making Batman his own, still stays true to the inspiration of the source material. While the word “Catwoman” is never uttered, Selina Kyle nonetheless fulfills the role of the DC-universe frenemy, bouncing her loyalty back and forth and sparring both physically and flirtatiously with our hero. As Bane, Tom Hardy is terrifying and (thankfully) easier to understand than the original footage made us believe. After seeing the 8-minute prologue before MI:GP last fall, it is obvious that Nolan went back in to clear up some of the dialogue from the mussled beast. Bane is an unstoppable physical force, a calculating mastermind and a ruthless killer, BUT without saying to much, his weaknesses and ultimately the motives behind his crusade hearken back to the original comics in a way that was both surprising and completely rewarding. The action is superb, the ethos is fascinating and the sheer scope of what Nolan presents is something out of a dream (within a dream). And then it ends, in a way that is natural and predictable and yet unexpected, with Nolan hanging up his cape and walking away from the franchise he brought back from the dead. Rises is not without its faults. The citywide battle that makes up the film’s climax does not fully deliver on the buildup and anticipation. And Bane and Batman’s final joust pales in comparison to the underground scuffle in Act II. I preferred Gotham when it wasn’t so obviously Manhattan, as Nolan makes no attempt whatsoever at hiding the very real location where this fantasy is occurring. You would also think that a movie that is nearly 3 hours long wouldn’t leave loose ends, but I can think of a handful of questions left unanswered (One for those of you who have seen it. How exactly does a certain someone get back into a certain someplace when no one can get in or out?) and with so many new characters, I can’t help but feel that two old favorites in particular were mostly left out of the fun. Most notably, for a franchise that prides itself in the (relative) realism of its plot, I can’t help but question the city-under-siege scenario that plays out, but since the plot depends on it I’m mostly willing to let it go. Ultimately, Rises was what I wanted it to be. Yes, I felt the absence of Heath Ledger’s joker and Bane may have been missing a certain je ne sais quoi. But I also felt myself sitting at the edge of my seat, mouth gaping open and eyes wide like a kid in a candy store. I left the theater more than 24 hours ago and I’ve had little luck since then thinking of anything else. As a lifelong Bat-fan, I felt that my expectations were met and my passion rewarded. As a cinephile, I marveled at Nolan’s mastery. As a writer, I thought the emotional-arcs were genuine and true to the characters. As a guy that likes to watch stuff explode, Rise blew. my. freaking. mind.